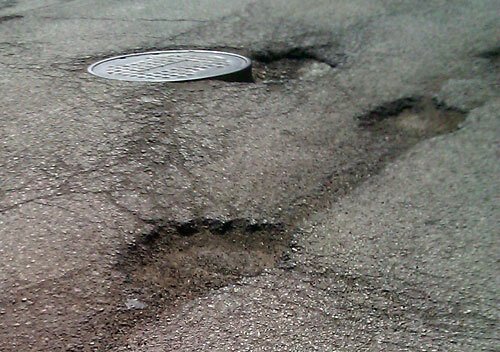 Even with the relatively mild winter we've had, there are potholes popping up already on Chicago's streets. You can go to the City's website here. It helps to know the approximate street address of the pothole. Call 311 and make a report. We've hit a few too many of them already. Time for revenge.